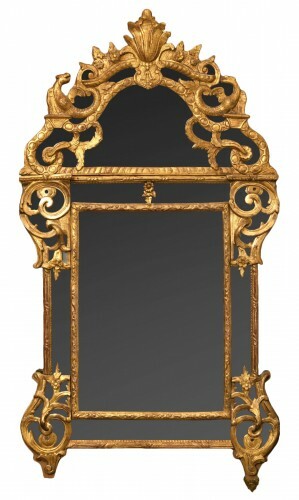 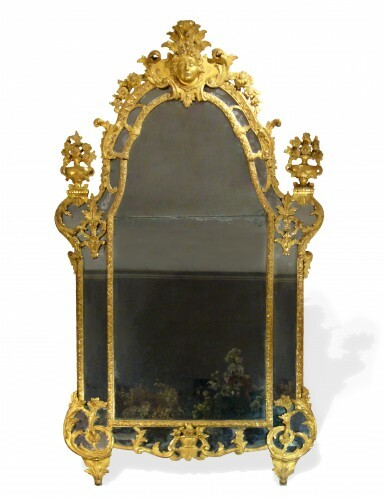 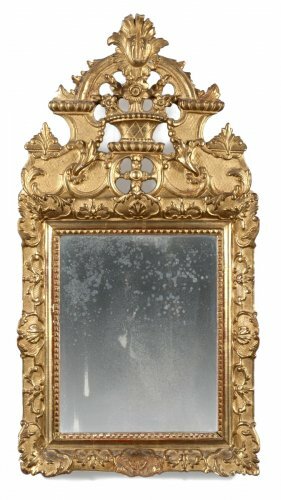 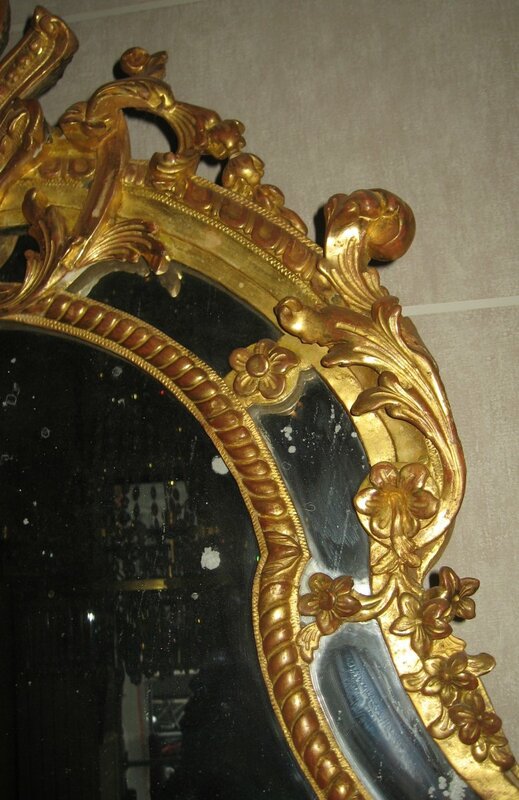 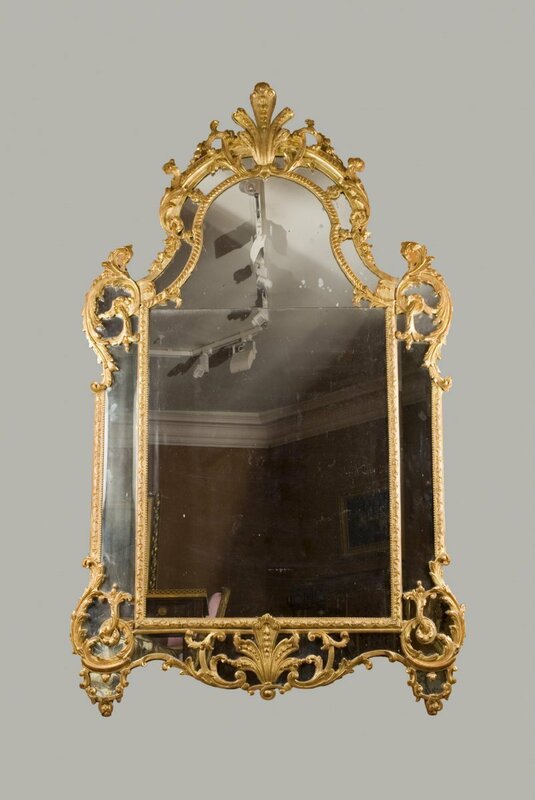 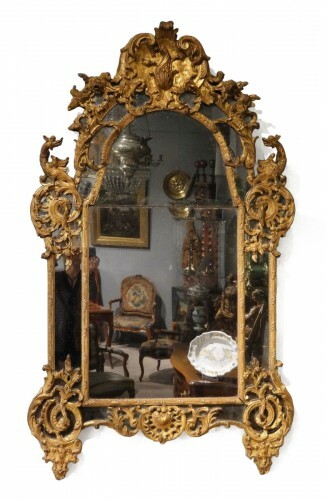 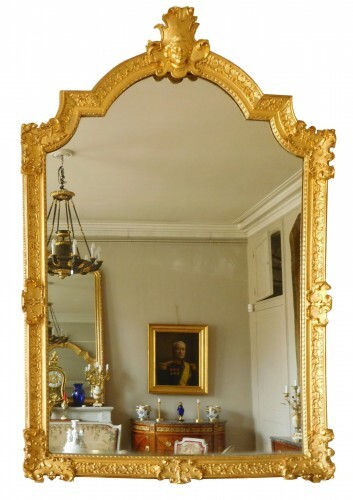 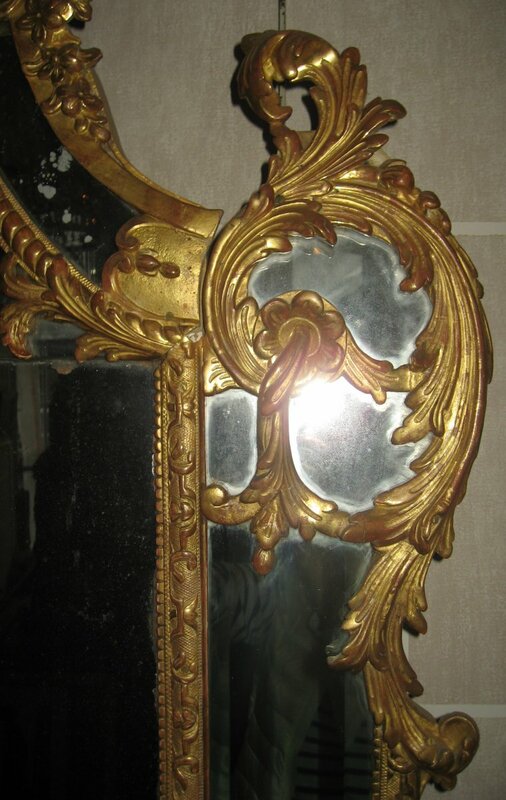 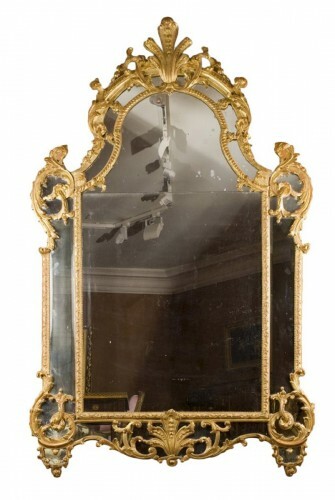 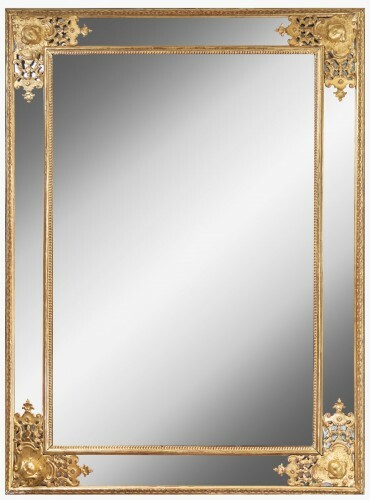 This giltwood mirror rests on two little legs. 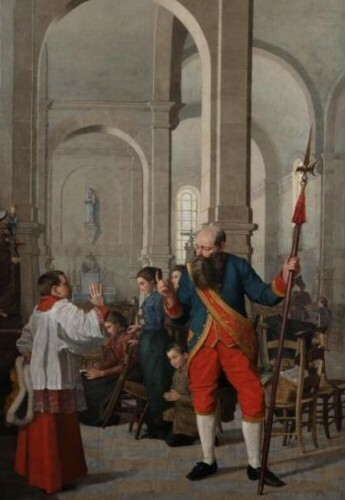 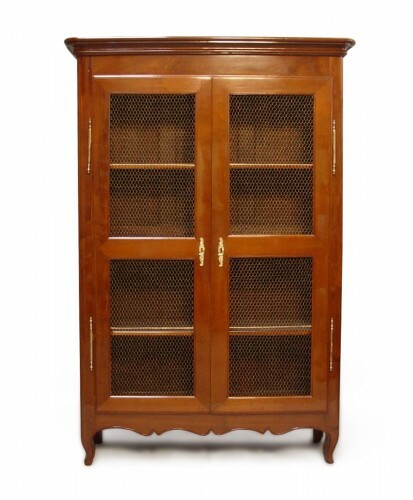 Surrounded by mirror borders, the low part is carved in the middle with a large palmette. 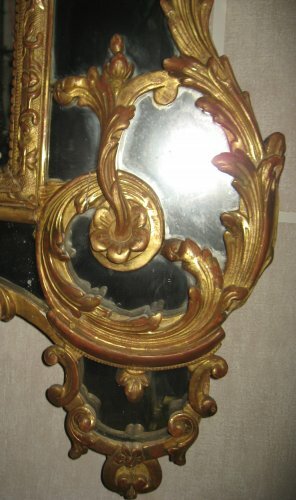 The corners are decorated with scrolls. The triangular pediment is decorated with flowers and foliage with a large palmette in the middle. The beading between the border and the central mirror is carved with Berain's motifs.